Johann Sebastian Bach, as it is rather well known, had a large family. A total of 6 sons. Most of them did some composing. Unfortunately, the only descendant of Bach that I personally find interesting is Carl Philipp Emanuel, often abbreviated as CPE (I’ve written a bit about Wilhelm Friedemann here). CPE had a major influence on music, including on one of the greatest names ever, Mozart. Mozart did meet CPE, and reportedly has said about him “Er ist der Vater; wir sind die Bubn. Wer von uns was Rechts kann, hats von ihm gelernt.” (which roughly translates into “he (CPE) is the father, we are the children. Whoever of us know how to compose, has learned from him”). CPE Bach in a way, musically speaking is the “missing link” between the Baroque period of JS Bach and Händel, and the Viennese classical period of Mozart and Haydn. In his music you still have some elements of the former, but much more points to the latter. I suggest you check out this nice Guardian article if you want to know more about the composer. 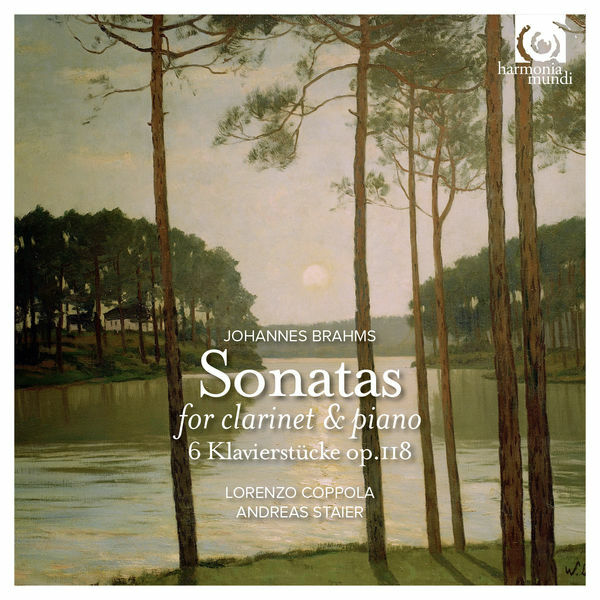 I’ve written several times about the German pianist and harpsichordist Andreas Staier. Most of the time I just love his recordings (e.g. Schubert’s Winterreise, Bach’s Clarinet Sonatas, or his great Diabelli variations). 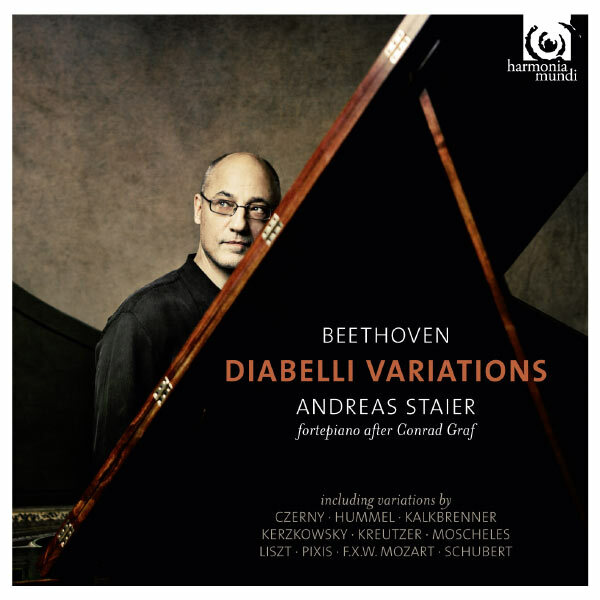 Occasionally I’m disappointed, particularly with his recording of the JS Bach keyboard concertos (see A Disappointment From Andreas Staier – How Can That Be?). I was particularly disappointed in the JS Bach recording mentioned above as I just love this CPE bach recording I’m writing about here, so I had particularly high expectations. So what do you get? Sheer brilliance! Staier and the Freiburgers really put all their energy in making this music shine. And what beautiful music it is. I personally would put CPE Bach higher than Haydn in my personal appreciation. This is really exicing and passionate playing, which will draw you in. 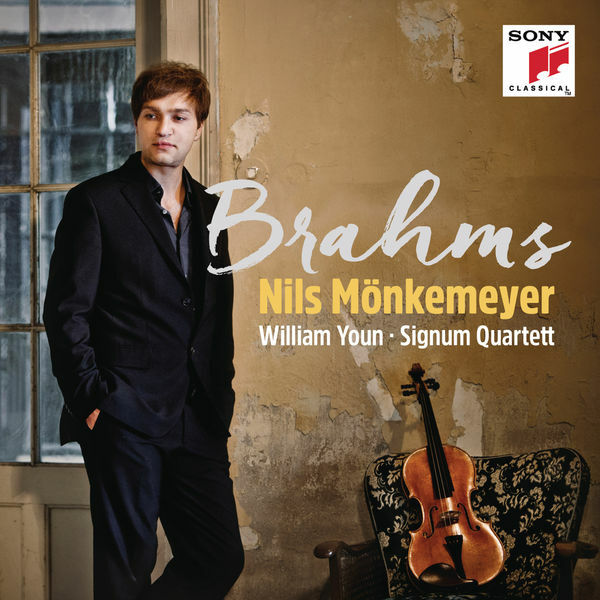 This album deservedly received the Gramophone Award in its category in 2011 (interestingly, they put it under “baroque instrumental”, not sure I’d 100% agree). Let me start by pointing out that I’m a big fan of Andreas Staier. I’ve praised his Diabelli Variations here, I like his approach to Mozart and Schumann, as well as his album “Pour Passer la Mélancholie”. His 2012 album of the 6 piano concertos by Carl Philipp Emmanuel Bach is outstanding. The same goes for the Freiburger Barockorchester (who joins Staier on excellent the CPE Bach album above). 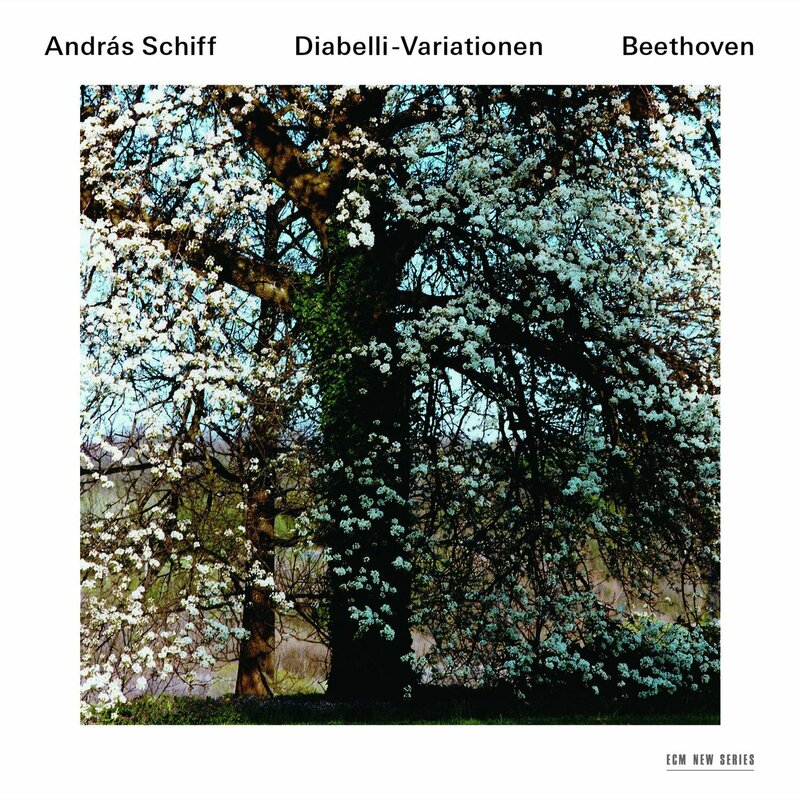 Their recording of the Bach Orchestral Suites is my go-to version, and the recently started Schumann cycle with Isabelle Faust, Alexander Melnikov and Jean-Guihen Queyras (more about the Melnikov in the next days) is very very good. 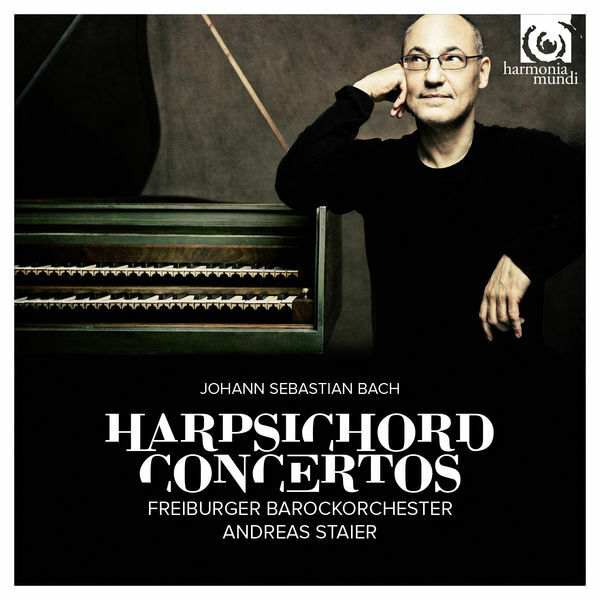 Bach wrote quite a number of concertos for harpsichord. As was not unusual at the time, several of them were probably recycled from other sources, e.g. other solo concertos or cantatas. You’ll find concertos for 1-4(!) soloists. So far, I still haven’t found “my” version. My currently preferred versions are the 2011 Linn recording of the Retrospect Ensemble with Matthew Halls conducting and playing, Pierre Hantai’s slightly idiosyncratic but very interesting version with Le Concert Français (see my review of his Goldberg variations here), and most of all Café Zimmermann’s energetic readings, which are unfortunately spread over 6 albums (all worth getting anyhow!) and only have the concertos with several instruments. Therefore, when I heard about this recording by Staier with the Freiburger, I was very excited and already had it on pre-order. Luckily, I was distracted, didn’t get to click on buy, and therefore ended up listening to it on Qobuz streaming first. I’m happy I did, because at this stage I don’t think I will end up buying this album.Maybe it was just that I was expecting too much, but my “inner ear” has a very different idea on how these concertos should sound. It pains me to write critical words about musicians that I admire very much, but the album generally sounds a bit heavy and slow, and does not at all the lightweight “swing” I so much love about most recent Historically Informed Performances. In a way this reminds me of Karl Richter’s way of playing Bach. There is obviously nothing wrong with approaching the music this way, it is just really not my cup of tea. Obviously this approach, and the sometimes slower tempi also allow for more nuances and there are very beautiful moments in this album, e.g. in the Largo of BWV1056. But most of the time, this is not for me. Overall rating: 3 stars. I really didn’t expect ever to give such a relatively low rating to these outstanding musicians. is it just me? I’d really love to hear your feedback especially if you disagree! EDIT August 28, 2015: I seem to be the odd one out here with my opinion. Classica “Choc”, 5 stars from Diapason, 5 stars from the Guardian. So be warned, I may just be a crazy lunatic in not particularly liking this album. I’d appreciate even more your feedback on this, as after 4 more listenings, I stand by my opinion. Please tell me if I need a new pair of ears! EDIT Oct 11, 2015: Just reading the review in the October issue of Gramophone, and at least Jonathan Freeman-Atwood seems to have heard what I’ve heard. To quote: “If you’re looking for fun, abandon, lyricism, radiant lift off […] and luminosity, then maybe this one is not for you”. He’s spot on, that’s exactly what’s lacking for me.